My sincere FELICIDACIÓN LORDS FOR SR. IRVING G. DIPLOMAT AND COMMERCIAL Levance PROF. COLIN EVANS CCLP AS OBSERVERS TO THE UNITED NATIONS WORLD, THE COMMISSIONER FOR EUROPE CCLP WORLDWIDE. And that the efforts and work, continue to have the same success ALWAYS. I feliciate H.E. 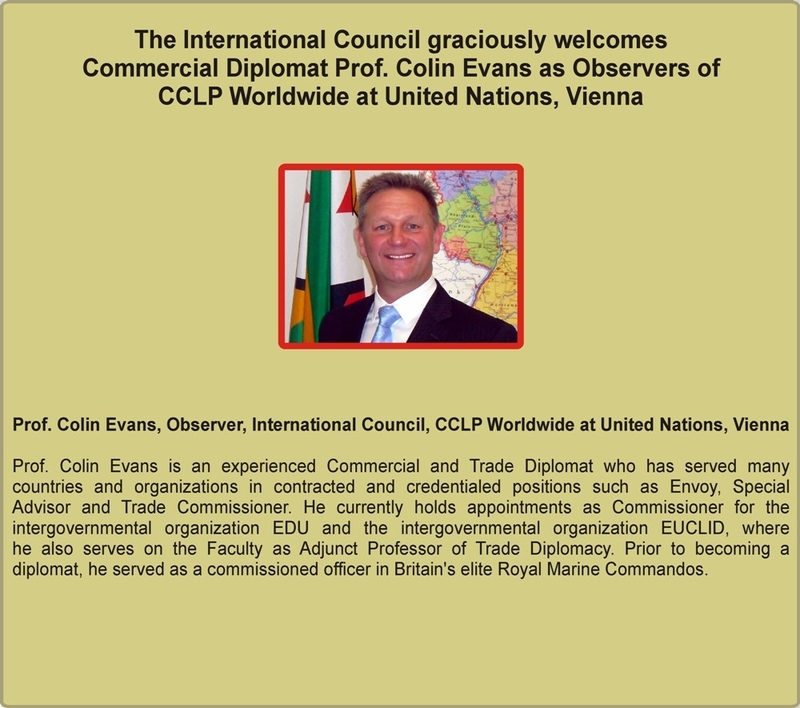 Prof. Colin Evans for assaociation to CCLP Worldwide as observer of international council.